Today, we are going to focus on physician employment contracts and chat with Jon Appino, the CEO of Contract Diagnostics. As a matter of fact, this is Jon’s SECOND time on the show. 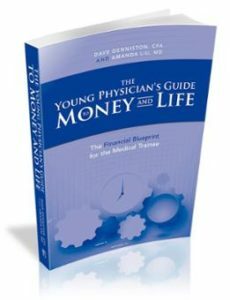 This interview was recorded all the way back 2 years ago in the summer of 2016— it inspired the contracts section of The Young Physician’s Guide to Money & Life. Jon obtained his BS in Biology and Chemistry with a Pre-med focus. After deciding on a business career over medicine, he has spent the past 15+ years working in various sized companies and start-ups in the healthcare field. He completed his MBA in 2004 and launched his most recent company, Contract Diagnostics, in 2011. He is passionate about the education of Physicians with regards to the non-clinical (business) aspects of medicine. What I think is pretty neat about this company is that Contract Diagnostics offers a wide range of review packages with price points starting at only a few hundred bucks with flexible payment plans for Residents and Fellows as they complete their training. Enjoy the podcast with Jon Appino! The Young Physician’s Guide to Money & Life.